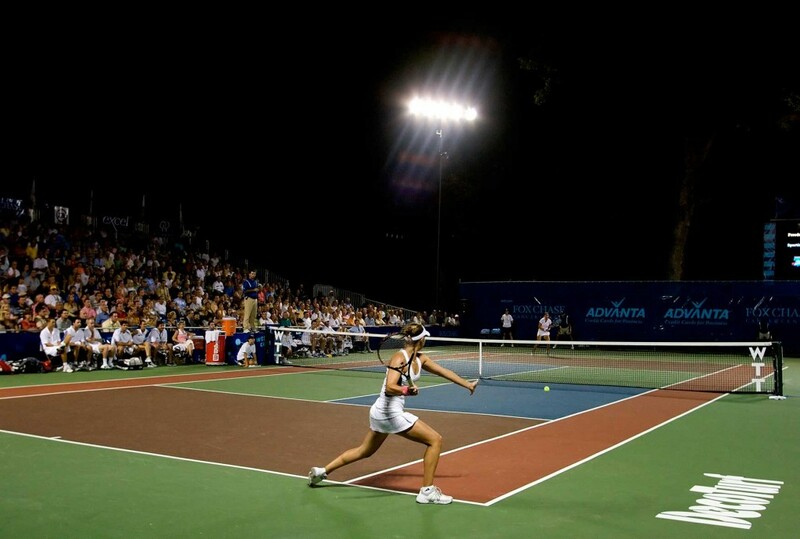 The 39th season of Mylan World Team Tennis successfully kicked off Sunday, July 6th. The Texas Wild got their first win on the road at Boston while the Philadelphia Freedom defeated Springfield. The season which spans two and a half weeks marks the return to hard courts after weeks of grass and clay and leads up to the Emirates Airline US Open Series. In addition to being the surface of many of the US Open Series events, DecoTurf® is also the proud surface sponsor of World Team Tennis. The iconic four color (calico) court originated in 1974 and was originally created to eliminate court lines. The four colors mark out each section of the court including baseline, doubles alley, and service box creating a checkerboard effect. Today the court is lined although it still includes the original brown, red, blue, and green color scheme with a green out of bounds area. 2013 was an historic year for the WTT. The Washington Kastles went on to tie and then break the record for longest win streak by a professional sports team set by the ’72 LA Lakers at 33 wins. Although the streak is no longer intact, the Kastles did claim the King trophy for the third straight season and remain the favorite in the east. In the west Andy Roddick led the Springfield Lasers to the runner-up position behind the Kastles. The field of 8 teams has now become 7 and two new teams will be added to the field this coming July. The Orange County Breakers have been relocated to Austin Texas while the New York Sportimes will now call San Diego home. The most celebrated team in WTT history, the Sacramento Capitals, originally planned to play the season in Las Vegas before calling it quits. Much of the WTT top talent have shifted around the league leaving this year’s title up for grabs. Andy Roddick moves from Springfield to his hometown of Austin where he will be joined by former Wimbledon Champ Marion Bartolli. The Bryan Brothers return to their old stomping grounds of San Diego from the Texas Wild and will team up with superstar Daniela Hantuchova. While there have been big moves in the western conference the entire Kastles’ line up has stayed intact which makes them the ones to beat in 2014. World Team Tennis also made a big move to increase visibility this year by partnering with ESPN. One match per night will be aired on ESPN3 while the finals will play on ESPN2. You can view ESPN3 broadcasts online or by using the Watch ESPN app by logging in with your network provider. This 4 year partnership comes in addition to plans for updated apps and digital presence. 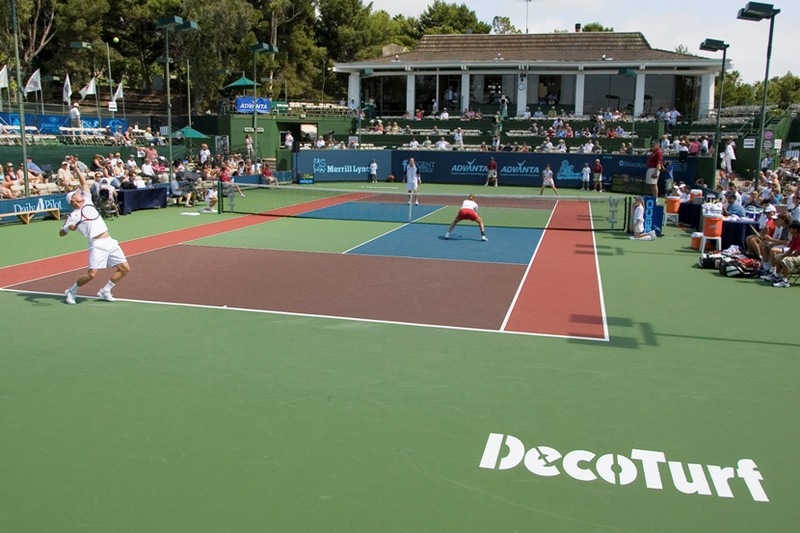 Interested in learning more about DecoTurf® and World Team Tennis? Visit their websites at www.wtt.com and www.decoturf.com. This entry was posted in DecoTurf® and tagged Acrylic Surface, Billy Jean King, DecoTurf, World Team Tennis, WTT.